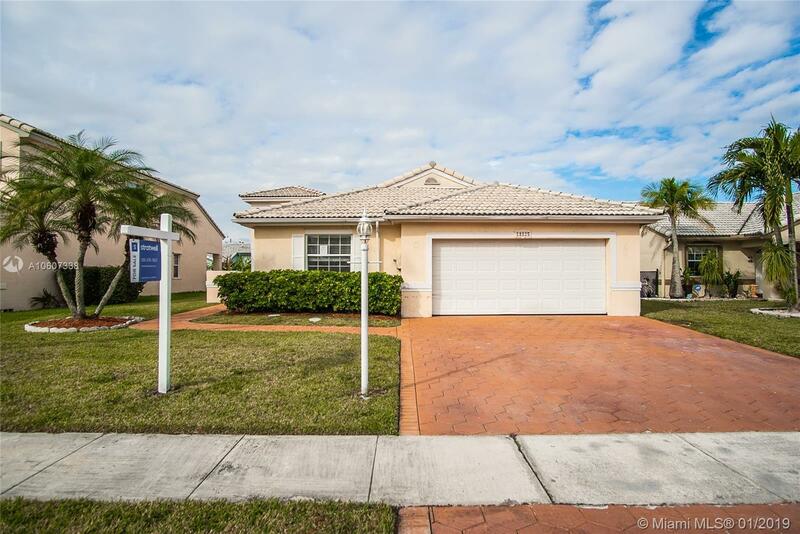 18825 NW 1st St, Pembroke Pines, FL.| MLS# A10607338 | Susan J Penn l Best Agent l Buy & Sell South Florida Homes! Great 3 bedroom, 2 bathroom home in the beautifully maintained community of Chapel Oaks. This property offers a gorgeous open format layout. French doors in the living room providing plenty of natural light, dine-in kitchen with snack bar and breakfast area, formal dining, spacious bedrooms, adequate closet/storage space throughout, washer/dryer hookup in garage, beautiful master suite. Splendid paved backyard with pool and spa to enjoy those warm sunny days! Prime location near everything you can imagine! Top rated schools, awesome shopping and entertainment, along with main roads and highways. This house offers tremendous potential, with just a little TLC it can be the gem it is meant to be! Don't miss out on this grand opportunity to own the house you have always dreamed of!